Want to use FaceTime without WiFi? Here's how. Want to use FaceTime without WiFi? Here’s how. 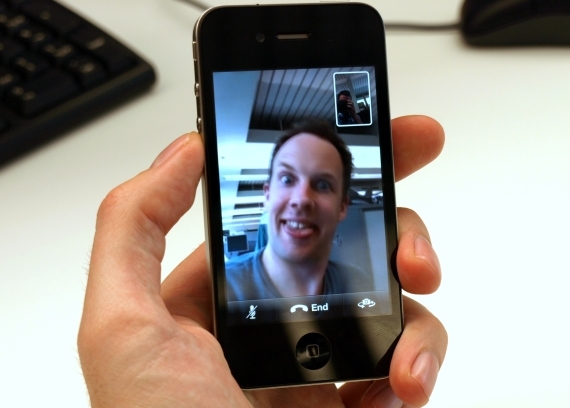 FaceTime is a great application. There’s simply no denying that. However, it would be infinitely more useful if we didn’t have to be tied to a WiFi connection in order to use it. The DeviceKnit blog has put together a handy little how-to in order to help matters. It will require that you have tethering on your plan, but I think that’s a worthwhile $15 for FaceTime away from WiFi. Turn on tethering in Settings > General > Network > Internet Tethering on your iPhone 4 and connect it via USB. You’ll see a new “iPhone USB” connection option pop up in the Network preference pane in System Preferences. Now, connect to the network you just created with your iPhone, and you can FaceTime all you want. Hopefully when there’s a jailbreak for the iPhone 4 the laptop and tethering won’t be needed anymore. Enjoy!